Sonic brings back the $2.99 Carhop Classic deal for a limited time at participating locations. 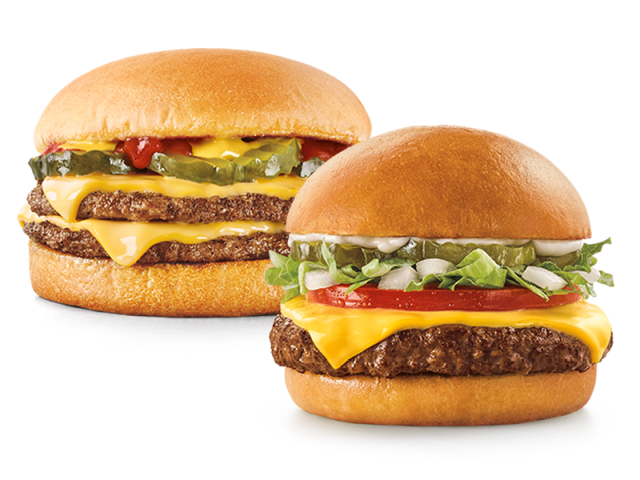 During the promotion, you can choose to get either a Quarter Pound Double Cheeseburger or a Classic Sonic Signature Slinger plus a medium order of tater tots for $2.99. The Quarter Pound Double Cheeseburger features two beef patties, two slices of American cheese, ketchup, mustard, and pickles on a toasted plain bun, while a Classic Sonic Signature Slinger includes a patty made with a blend of beef, mushrooms, and seasonings served with lettuce, tomato, crinkle-cut dill pickle, mayo, and American cheese on a toasted brioche slider roll.